The Power Max HD 1028 OHXE withToro Premium 302cc, OHV 4-cycle engine provides proven power and performance to make your job easier in tough winter conditions. A 28-inch wide swath and 21.5” (55 cm) cutting depth w/Standard Drift Breaker can plow through the deepest snow. The innovative Quick Stick® control allows you to quickly and easily change chute direction AND chute deflector with a single, smooth motion. 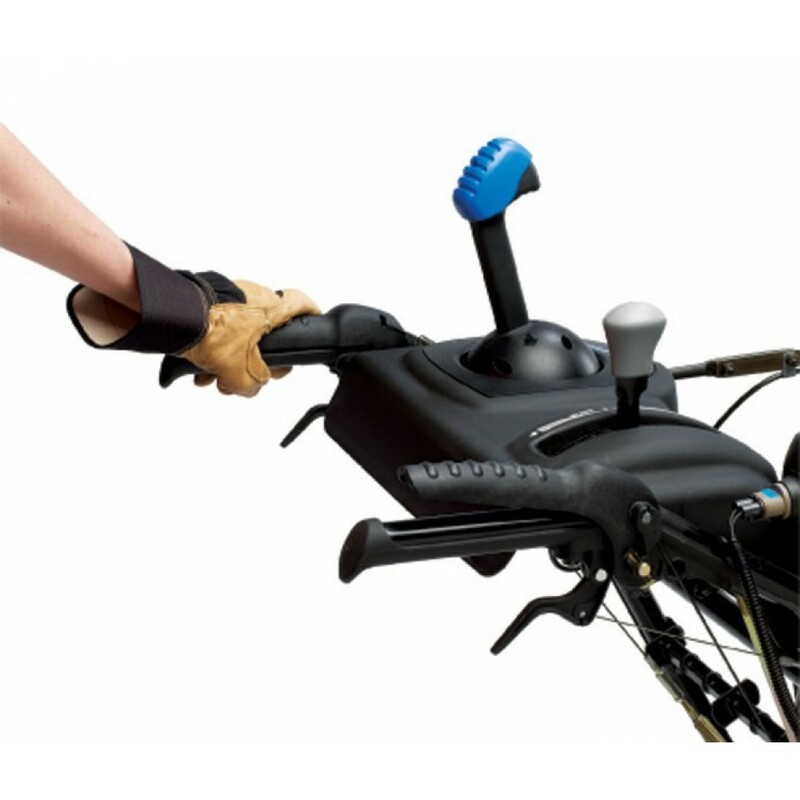 Convenient one-hand operation levers allow single-handed operation freeing the other hand to change speeds or the chute control without stopping. 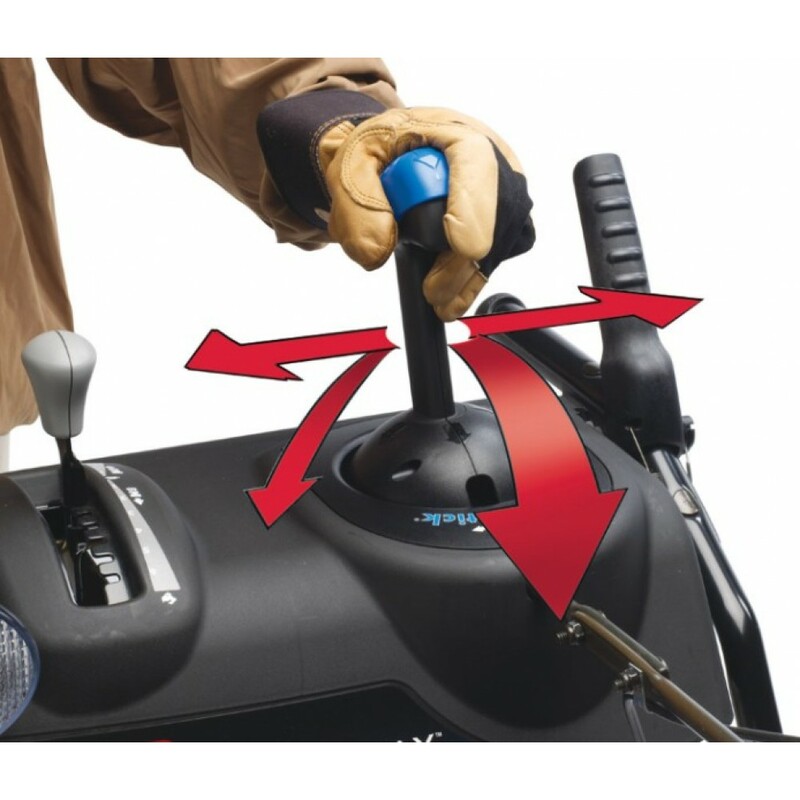 This machine also has handle-mounted triggers that allow you to disengage one or both wheels to maneuver through sharp turns with ease, Cast-Iron skids, reinforced handle reflection tape and a 3-Year Limited, 1-Year Commercial warranty. A breakthrough in snow blowing technology, the exclusive Anti-Clogging System meters snow intake to prevent clogging and maximize clearing efficiency. The Power Max HD uses a Commercial-Grade auger gearbox; No shear pins needed. 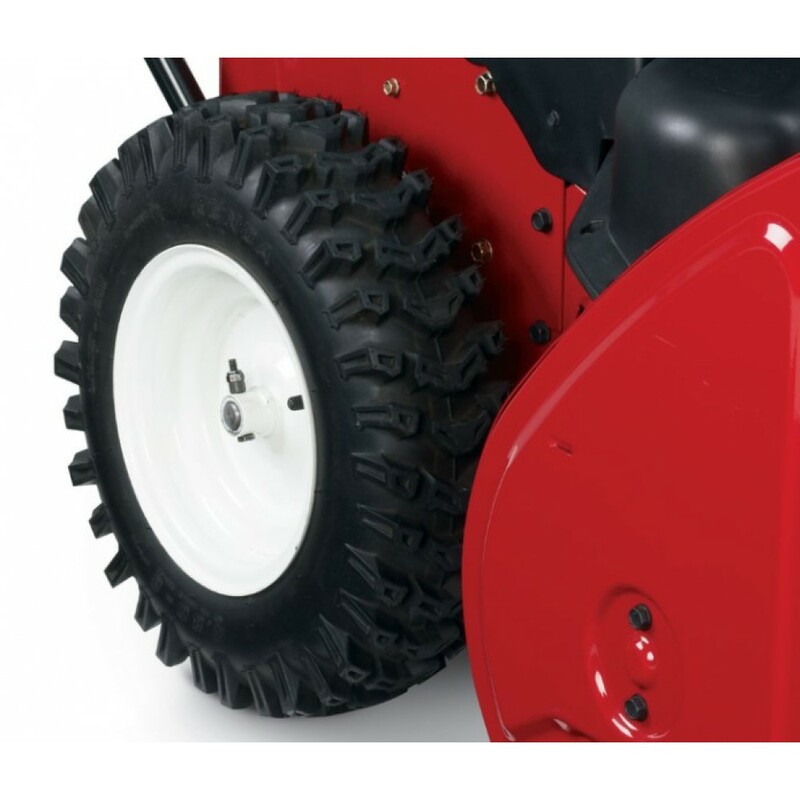 Power Max® Anti-Clogging System (ACS)- A breakthrough in snowblowing technology, the Power Max® Anti-Clogging System (ACS) handles more snow in less time to get the job done fast! This revolutionary system regulates snow intake to virtually eliminate clogging while maximizing the impellor speed for powerful performance. Other snowblowers require the operator to manually limit snow intake to prevent clogging. Quick Stick Chute Control- Quickly easily change chute direction AND chute deflection with one simple, integrated control. Toro Premium 4 Cycle OHV Engine - The smooth Toro premium 4 cycle engines provide years of dependable and powerful performance. These engines have been tuned specifically to provide optinmal performance. With unmatched governor response, these engines deliver power faster when you need it. Sub Zero Material (Guaranteed for Life) - The discharge chute, deflector, and impeller are made out of a rugged, high density Sub Zero material that's durable and stays flexible even down to -104 degrees. it also naurally prevents snow and ice from sticking and will not rust over time. The discharge chute, deflector and impeller cover are guaranteed for life. Heavy-Duty Skid Plates- The heavy-duty cast iron skid plates protect the auger housing from rubbing on the ground when digging into the deep snow. Designed to be .5" thick for maximum life. Depending on what kind of driveway you have, concrete, asphalt or gravel, the height can easily be adjusted to meet your needs. Commercial-Grade Auger Gearcase- Power is transferred to the serrated augers by a gearcase designed to withstand extreme stress, eliminating the need for troublesome shear pins. Large 14" Serrated Auger- Extra Large auger is designed to chew through the tough, compact snow. Hand Warmers - Keep warm in subzero temperatures for added comfort. Power Steering- Turn on a dime! Wheels can be disengaged independently or simultaneously with trigger controls - making turning, reversing, and steering easy for anyone. Extra-Large 16" Tires- The wide surface area and the squared-off deep lugs of the extra-large 16" tires aggressively dig down to the sub-surface in deep snow for the best possible traction. Electric Start Standard- For hot starts on the coldest days, each Toro two-stage snowthrower comes equipped with both electric start and a recoil mitten grip start for added peace of mind. 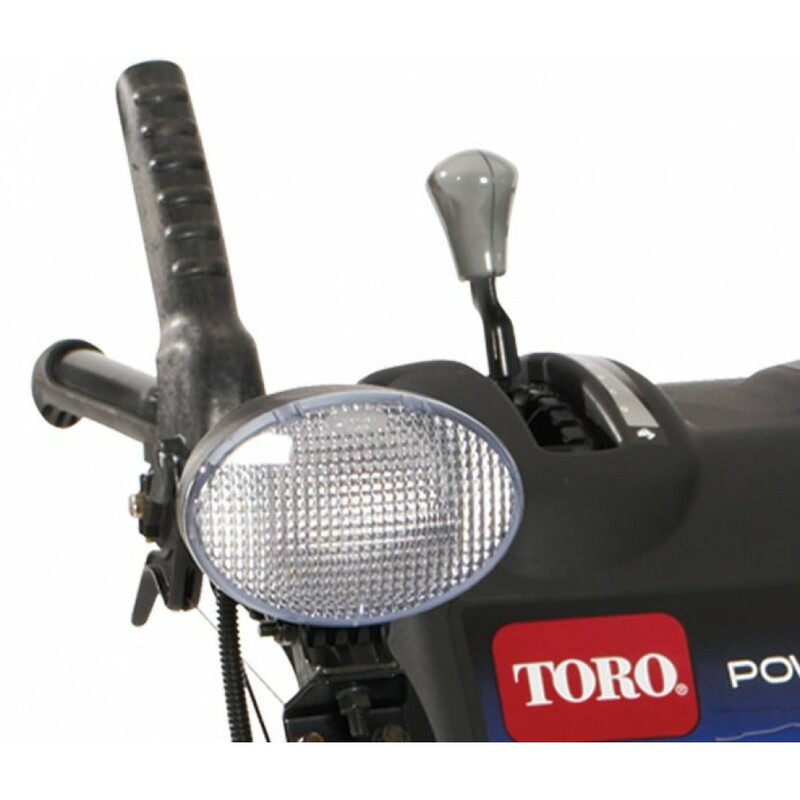 Headlight Standard- See and be seen with an extra bright flood light. Locking Control Handles- The one-hand interlock system locks down one of the control handles freeing one hand to change snow throwing direction. 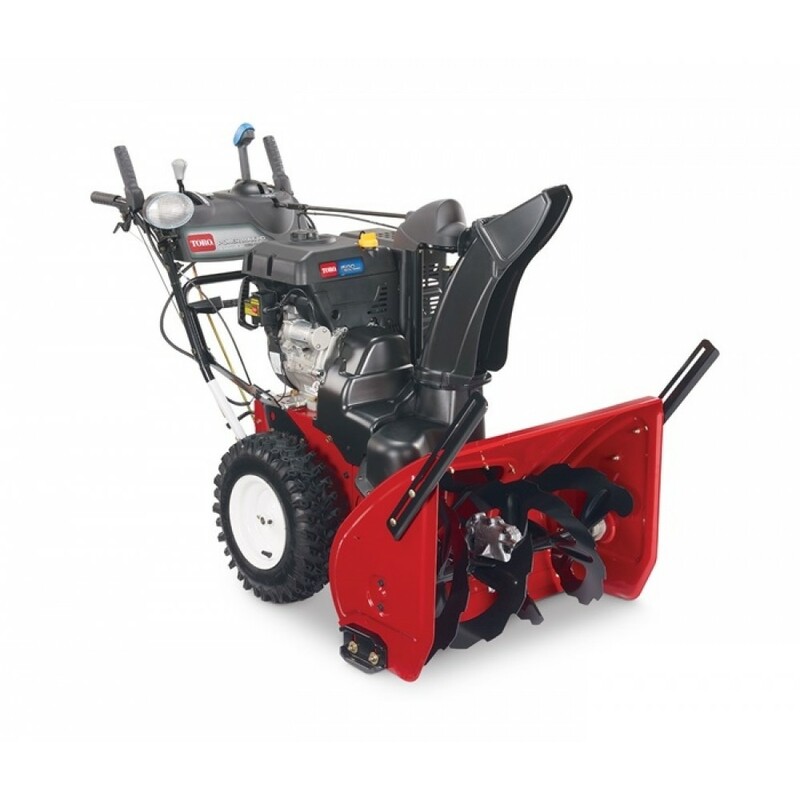 At Snow Blower Source we believe the purchase process should be simple. That's why every product we sell ships for free! Many companies charge extra for shipping insurance, not at Snow Blower Source. Shipping insurance is included with every order we ship. Not only is shipping free, its fast! 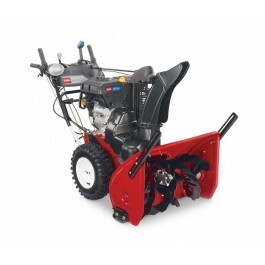 Snow Blower Source has partnered with some of the quickest and most reliable companies in the industry. Lift Gate Service is recommended - for all residential freight items where a customer does not have access to a loading dock or fork lift.. This service is offered at only $50.00. That's right; your snow blower will be safely lowered to the ground for you. All snow blower's ordered by 1pm CST. Will ship the same day- Anything later will ship the next business day. All orders can be tracked through your Snow Blower Source account.